Geometry Wars EvolvedNov 22, 2006An Xbox Live Arcade game (built for the Xbox 360 system), also part of PGR3. Blast away at enemies with 360 degrees of movement and targetting (via the dual stick control set-up on the Xbox 360 controller) in this throwback shooter game. ..
Geometry Wars: Retro Evolved 2Jul 30, 2008Experience an unbelievable adrenaline rush from playing the latest version of the frenetic retro shooter Geometry Wars: Retro Evolved 2! Newcomers and pros alike will be blown away by the screen-melting intensity and insane new features, including s..
Project Gotham Racing 4Oct 02, 2007“Project Gotham Racing 4” promises to continue the “Project Gotham Racing” pedigree of innovation by introducing exciting new experiences to racing fans worldwide. Features Dynamic weather system - Now racing through a track can mean facing a.. 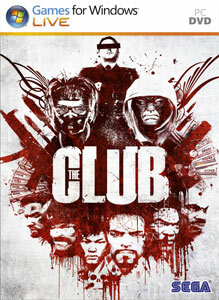 The ClubFeb 19, 2008Earn money killing criminals in an underground game of death. For most people The Club exists only as an urban legend - a game where criminals are paid huge amounts to carry out gunfights and where online spectators view, gamble and cheer them on in ..
Namco brings the hit series of Ace Combat to the Xbox 360 for it's 6th incarnation. Ace Combat 6: Fires of Liberation is the most robust Ace Combat game to date and will be a killer fligh..